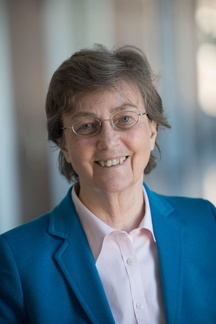 Professor Georg and her group have published over 200 scientific articles and are involved in the design, semisynthesis, total synthesis, and evaluation of biologically active agents. Current therapeutic areas include cancer, male and female non-hormonal contraception, cancer, and epilepsy. These projects require the development of synthetic methods, synthesis of natural products, and structure-activity studies aimed at improving the therapeutic efficacy of lead compounds, including natural products, and hits from high throughput screening. Interdisciplinary projects are a main focus in the Georg group, involving medicinal chemistry, biochemistry, screening, structure-based drug design, pharmacology, pharmaceutical chemistry and reproductive biology. Active collaboration exists between the Contraception Research Branch of the Eunice Kennedy Shriver National Institute of Child Health and Human Development, several research groups at the University of Minnesota, and around the country. Professor Georg is the PI of a NICHD U54 “Contraceptive Discovery, Development and Behavioral Research Center” that involves six institutions. She is the co-inventor of LusedraTM, which was marketed by Eisa Pharmaceuticals, of Minnelide, an anticancer agent in phase II clinical trials, and of Gamendazole, a male contraceptive agent in preclinical development. Professor Georg is the co-Editor-in-Chief of the Journal of Medicinal Chemistry of the American Chemical Society. She has served as a member of review panels for the National Institutes of Health, the National Science Foundation, the American Cancer Society and others. In 2017 she was inducted into the Medicinal Chemistry Hall of Fame of the Division of Medicinal Chemistry of the American Chemical Society and named Research Exemplar by the Research Exemplar Project of Washington University in St. Louis. She is a Fellow of the American Association for the Advancement of Science. In 2013 she received the Ernest H. Volwiler Research Achievement Award of the American Association of Colleges of Pharmacy, was named a Fellow of the American Chemical Society, and was the International Chair of Therapeutic Innovation, Paris, France (LERMIT). She was the 2000 Sato Memorial International Award recipient of the Pharmaceutical Society of Japan, and the 2001 Nolan and Gloria Sommer Award Winner (University of Nebraska). Hawkinson, J. E.; Sinville, R.; Mudaliar, D.; Shetty, J.; Ward, T.; Herr, J. C.; Georg, G. I. Potent Pyrimidine and Pyrrolopyrimidine Inhibitors of Testis-Specific Serine/Threonine Kinase 2 (TSSK2). ChemMedChem 2017, (accepted). DOI: 10.1002/cmdc.201700503. Ayoub, A.; Hawk, M. L.; Herzig, R. J.; Wisniewski, A. J.; Gee, C. Zhu, J.-Y. ; Berndt, N.; Scott, T. G.; Qi, J.; Jun, Q.; Bradner, J. E.; Ward, T. R.; Schönbrunn, E.; Georg, G. I.; Pomerantz, W. C. K. BET Bromodomain Inhibitors with One-step Synthesis Discovered from a Virtual Screen. J. Med. Chem. 2017, 60, 4805-4817. Syeda, S. S.; Carlson, E. J.; Miller, M. R.; Francis, R.; David E. Clapham, D. E.; Lishko, P. V.; Hawkinson, J. E.; Hook, D.; Georg, G. I. The Fungal Sexual Pheromone Sirenin Activates the Human CatSper Channel Complex. ACS Chem. Biol. 2016, 11, 452-459. Patil, S.; Lis, L. G.; Schumacher, R. J.; Norris, B. J.; Morgan, M. L.; Cuellar, R. A. D.; Blazar, B. R.; Suryanarayanan, R.; Gurvich, V. J.; Georg, G. I. Phosphonooxymethyl Prodrug of Triptolide: Synthesis, Physicochemical Characterization, and Efficay in Human Colon adenocarcinoma and Ovarian Cancer. J. Med. Chem. 2015, 58, 9334-9344. Syeda, S. S.; Jakkaraj, S.; Georg, G. I. Scalable synthesis of the BET bromodomain inhibitor JQ1. Tetrahedron Lett. 2015, 56, 3454-3457. Tash. J. S.; Attardi, B.; Hild, S. A.; Chakrasali, R.; Jakkaraj, S. R.; Georg, G. I. A Novel Potent Indazole Carboxylic Acid Derivative Blocks Spermatogenesis and is Contraceptive in Rats after a Single Oral Dose. Biology of Reproduction 2008, 78, 1127-1138. Desino, K. E.; Ansar, S.; Georg, G. I.; Himes, R. H.; Michaelis, M. L.; Powell, D. R.; Reiff, E. A.; Telikepalli, H.; Audus, K. L. (3R,5S,7as)-(3,5-bis(4-Fluorophenyl)tetrahydro-1H-oxazolo[3,4-c]oxazol-7a-yl) methanol: A Novel Neuroprotective Agent. J. Med. Chem. 2009, 52, 7537-7543. Evaluation of C26-Hydroxyepothilone D Derivatives for Photoaffinity Labeling of ?-Tubulin. J. Org. Chem. 2010, 75, 86-94. Niphakis, M. J.; Georg, G. I. Synthesis of Tylocrebrine and Related Phenanthroindolizidines by VOF3-Mediated Oxidative Aryl-Alkene Coupling. Org. Lett. 2011, 13, 196-199.